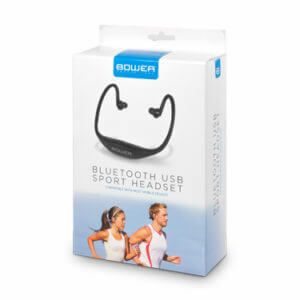 These headphones are ideal for the active and outdoor enthusiasts. The design was made to fit comfortably around the back of your head and rest gently on the base of your neck. Pairing with your Bluetooth enabled device is easy and virtually seamless. The onboard controls also allow you to accept calls with a click of a button and allow you to play/pause and skip tracks.